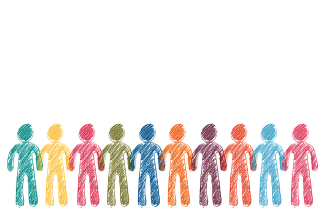 The OERu is an open learning community where we support each other on our learning journey. To enable learner to learner support (and instructor where one is present) each course has a discussion forum. Discussion forums are hosted on the forums.oeru.org site. The general support forums, frequently asked questions (FAQs) and discussions for all OERu courses are hosted on the same website. The forums.oeru.org site is structured by a system of categories and sub-categories and you will need to familiarise yourself with the structure of the web site. For Course related queries go straight to the Course Forum. For non-course related queries search in FAQs first and if you can’t find the answer to your query post in the Support Forum. FAQs is read only and is populated with common questions. Learning: general questions and support regarding how to participate and engage in OERu courses. Technology: questions and answers about OERu technologies. Assessment: topics and questions relating to assessment in OERu courses. Credit: questions relating to formal academic credit and credit transfer towards exit credentials and awards. General: discussions about OERu that don’t fit in the learning, technology, assessment or credit subcategories. Support is for non-course related questions about OERu that would be of interest to all OERu learners. Courses: is the category for all discussions related to OERu courses. All question related to the course should be asked in the course forum(s). The course materials will link directly to the relevant discussion forums on forums.oeru.org. However, you can locate the relevant course discussions by navigating the forums site. There are two alternatives for locating your course forums. This method will locate the course forums listing the topics for all the associated microcourses. 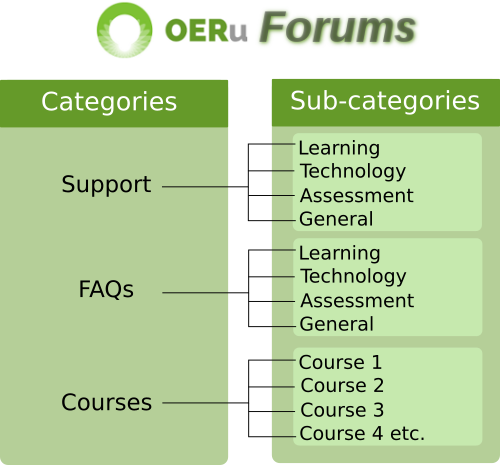 All OERu courses are listed as sub-categories of the main “Courses” category. From the forums.oeru.org homepage, click on the categories link on the top of the page. Click on the course you are studying. Click on the “tags” pull down option and select micro-course. This method will locate the discussions for specific micro-courses and assumes that you know the course code. The course code for each micro-course is provided on the respective course site. In the “With tags” field enter the course code and press enter. Alternatively, and slightly quicker, you can type “tags:coursecode” directly in the search bar. Click on the link to go to that forum.